Everybody in your life will write his or her own chapter in your story. Take a step back, and youll see the influence of your loved ones, mentors, and friends in your decisions. 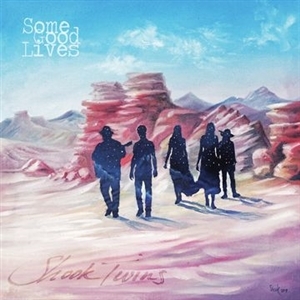 Shook Twins refer to these folks in the title of their fourth album, Some Good Lives. Throughout fourteen tracks, the duo-identical twin sisters Katelyn Shook [vocals, guitar] and Laurie Shook [banjo, vocals]-pay homage to everyone from a late grandpa and godfather to Bernie Sanders. During 2016, they planted the seeds for what would become Some Good Lives by thinking bigger. The girls intermittently recorded and tapped into palpable energy like never before, locking into grooves with a full band that expanded their sonic palette.